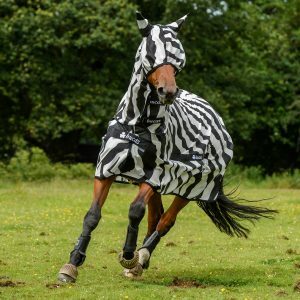 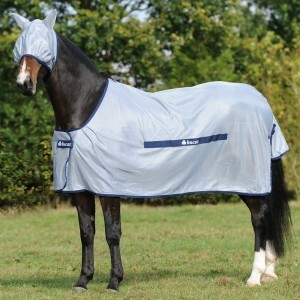 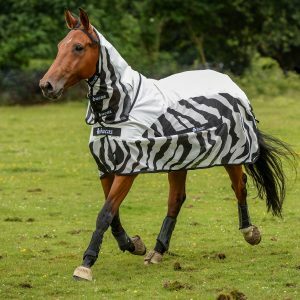 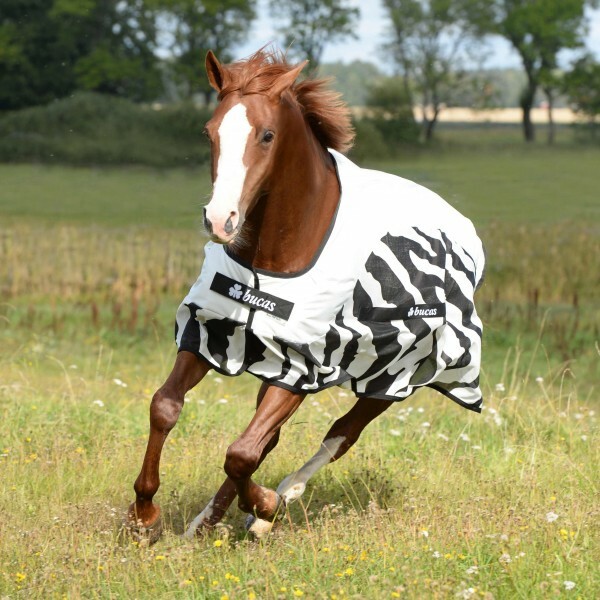 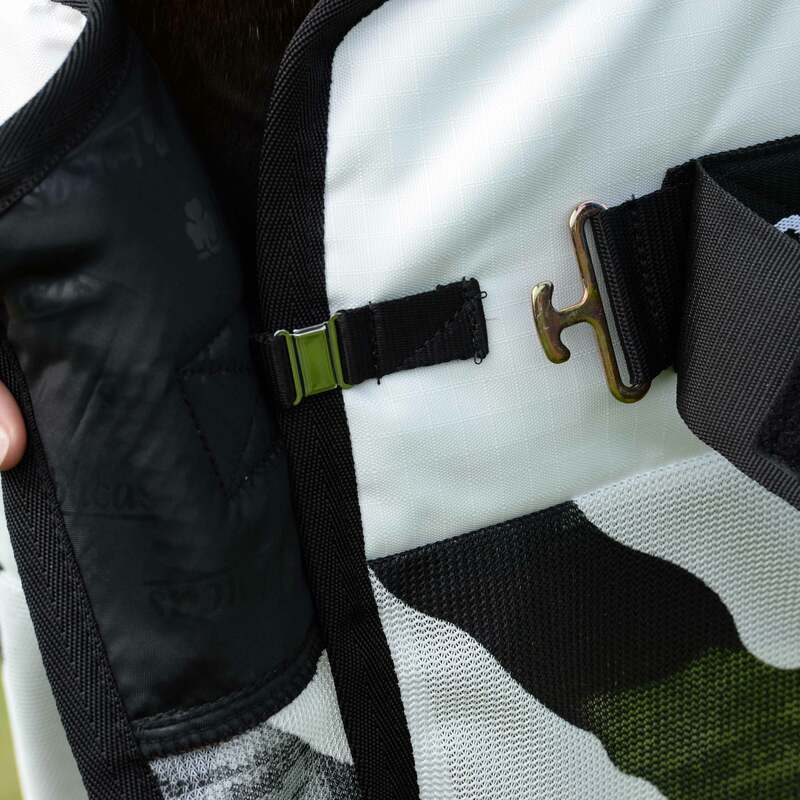 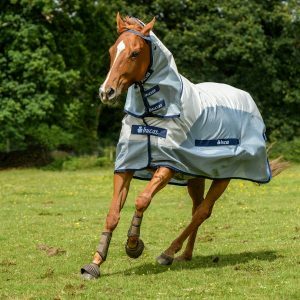 The Buzz-Off Rain Classic and the Buzz-Off Rain Zebra Classic offer protection from the flies for those horses that don’t need neck protection but also the upper part of the rugs are waterproof and breathable ensuring that your horse is fly free and dry while turned out. 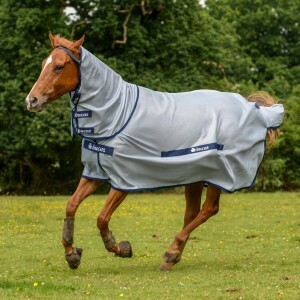 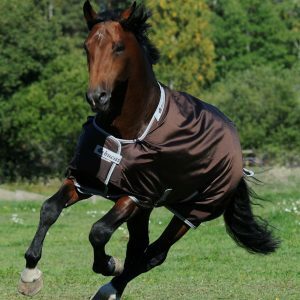 The large tail flap give added protection to your horse and the mesh lining on the upper helps circulate the air underneath the rug preventing over heating. Sun reflective upper helps keep the horse cool. 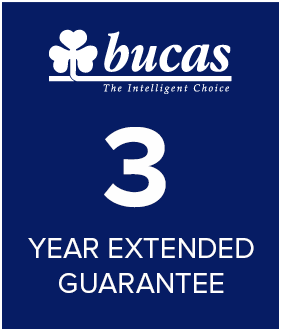 T-bar & magnetic Snap-lock front closure. 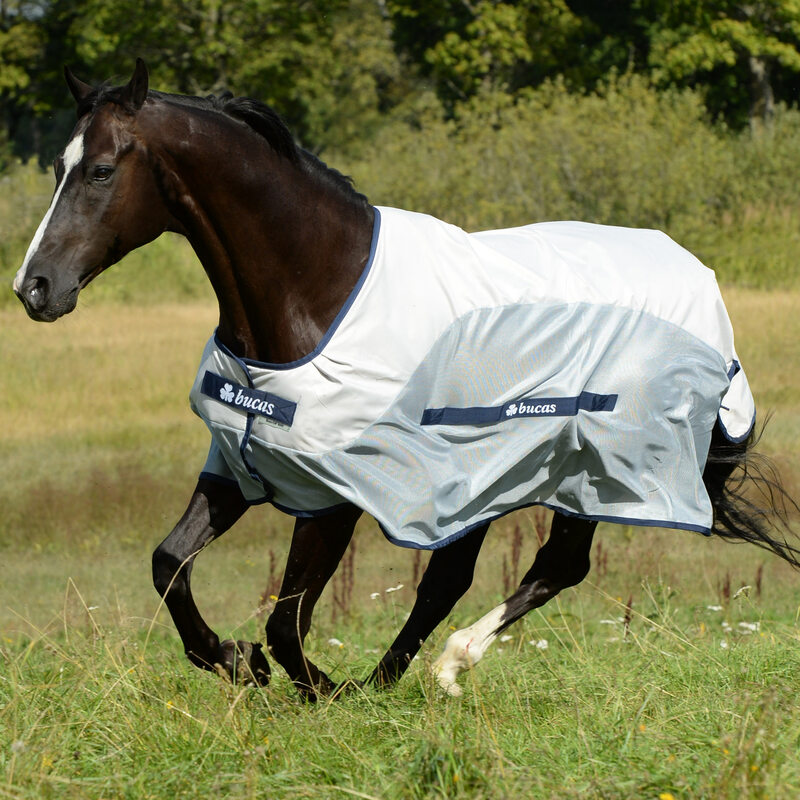 Comfort front with Silk-feel lining to help prevent rubs.